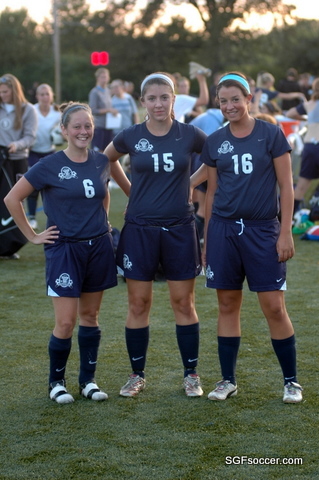 Fontbonne opened the scoring with a goal by #7 Robyn Meesey with 12 minutes left in the first half. Westminster tied it up in the 50th minute when freshman Megan Gunnels (Ozark/MO Elite SC) finished a ball played squarely across the six by junior Jen Brotherton. Meesey answered back two minutes later when she finished a cross served from deep in the right corner by #22 Tori Preiss. Preiss extended the Griffin’s lead to 3-1 in the 72nd minute with a goal of her own. Meesey completed a hat-trick in the 79th minute finishing a cross from #6 Kendra Schilli. 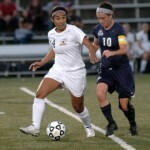 #14 Kaitlin Bramel (Rolla) scored the final goal of the game in the 81st minute to seal the 5-1 victory for Fontbonne. Game Preview: In an early season SLIAC Conference game, it’s #5 ranked Westminster (4-4, 1-0) visiting the #3 ranked Griffins (2-2-1, 1-0) Tuesday night. Both teams have beaten Spaulding to open their Conference season, Westminster winning by a 3-0 margin while Fontbonne won last week 4-0. Fontbonne has a pair of players from Southwest Missouri. Sophomore Kim Carter, a defender has started in 4 games while playing in 5 while her former high scool teammate on the Rolla Bulldogs, junior Kaitlin Bramel has started 3 of the 5 games she’s played in. 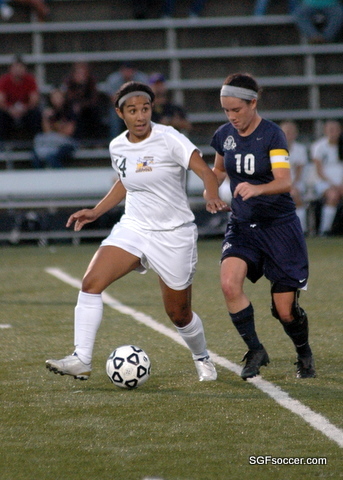 Bramel got her first goal of the season in the Griffon’s 4-0 Conference win over Spaulding. The Blue Jays have three players from Southwest Missouri. 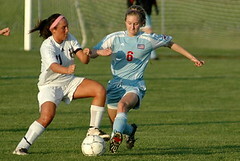 Freshman Megan Gunnels (Ozark/MO Elite FC) has started 7 of the 8 games played this year and leads the team in scoring. She has 4 goals and 3 assists to lead the team in goals and total points, 11. In addition to Gunnels, the Blue Jays have two sophomores from Southwest Missouri. 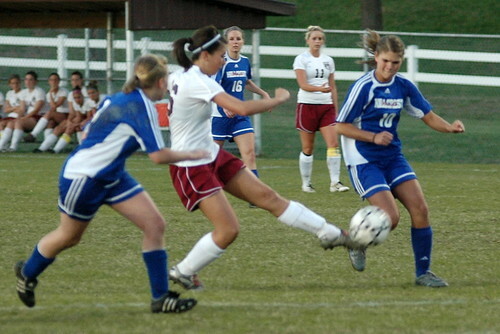 Chelsea Cole, a defender from Nixa, has played in six games on defense while Emma Ray, a midfielder from West Plains has also played in six games and has a start as well. Westminster is coached by Jen (Simek) Dyson, a 2006 graduate of Drury, where she earned her undergraduate degree in Psychology. 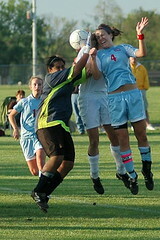 She played collegiately at Drury and appeared in 73 matches during her career. Dyson served as a graduate assistant women’s soccer coach at Drury University for two years before taking the job at Westminster. She married Westminster assistant men’s basketball and men’s golf coach Dave Dyson in 2010. A tough challenge for the Northside Springfield squad, as they traveled to Rolla on Wednesday to face the District 10 favorites in a game delayed one day due to field conditions. The game ended on Ashley Kerr’s goal when she followed Olivia Cox’s shot from the top of the box. Jillian Gerkey rejected the initial shot with her diving save but Ashley lifted it over the prone keeper from just outside the six yard box. The Hornets never backed off and made several trips into the Bulldogs box during my period at the game (2nd half) but don’t have as sophisticated an attack and were shutout. 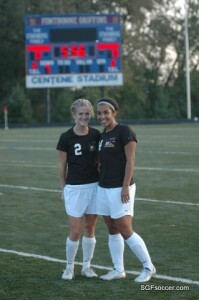 For the Lady Bulldogs both Jaclyn Standfast and Ashley Kerr had hat tricks, with three goals each. 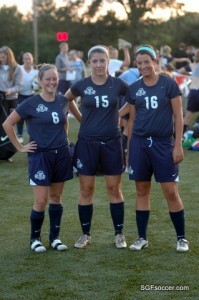 Olivia Cox tallied two goals and Emily Spooner and Caitlin McFarland each added one. Cox and Kerr each had two assists with Kim Carter and Spooner scoring one each. I took some time afterwards to chat with a pair of senior co-captains for the Bulldogs, checking in on their results so far this season and what the teams goals are. Here are Kim Carter and Ashley Kerr.